A convicted Iranian drug trafficker who survived a botched hanging has fallen into a coma, the IRNA news agency reported on Monday. "His level of consciousness is around six percent and the possibility of brain death will increase if the situation does not improve," IRNA quoted what it called an informed source as saying. "The doctors cannot perform any surgery or other treatment while he is in a coma," said the source. 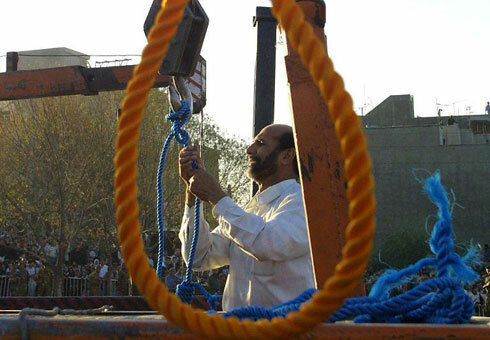 The prisoner, identified only as Alireza M., 37, was pronounced dead earlier this month by the attending doctor after hanging for 12 minutes from a noose suspended from a crane at a jail in northeastern Iran. But the next day, staff at the mortuary in the city of Bojnourd where his shrouded body was taken discovered he was still breathing. The incident led to a heated debate between jurists, with some saying he should be hanged again and others arguing he had faced his punishment and should be spared. Some jurists and attorneys even signed and sent a petition to judiciary chief Ayatollah Sadeq Larijani, appealing for a stay in the exceptional case. Two Grand Ayatollahs published a fawta, or religious decree, saying the convict should not be hanged again. Amnesty International called for an immediate stay of execution Alireza M. and for all other death row prisoners in Iran, which carried out more executions last year than any other country except China. The London-based human rights watchdog said 508 people have already been executed in the country so far this year.